Autumn is here and with it comes cooler weather, hopefully some rain, and the changing of colour in our trees. It’s also a great time to prepare your patio for Winter. Here are three tips to help make the most of your patio this Winter. 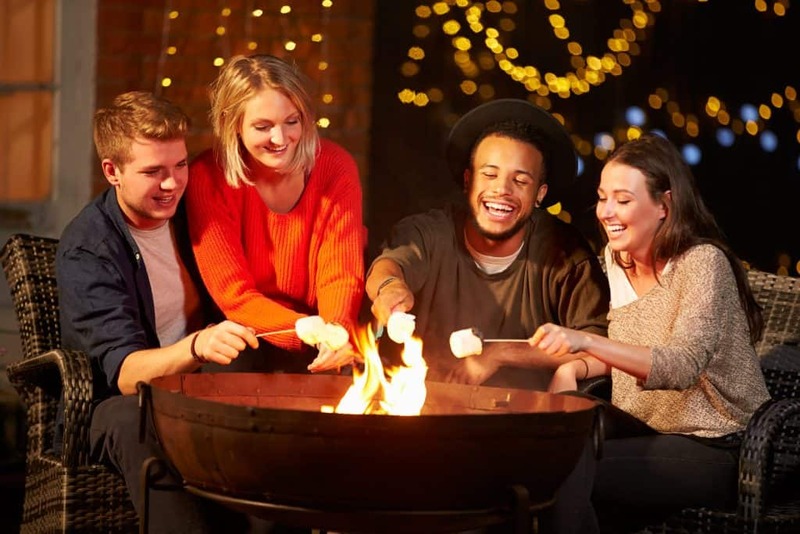 The promise of sitting around a fire pit toasting marshmallows is a surefire way to lure your friends and family into your outdoor area. Fire pits are not only a great source of warmth over the Winter months they can be a beautiful addition to your patio. The surface on which it will sit. Fire pits need to be located on a heat-proof area. Which means they can’t be placed directly on grass or wooden decking. There may be some restrictions on the installation and use of fire pits. So, it’s always a good idea to contact your local council first for more information. And with the changing colour in our trees comes the mass the falling of leaves – often into roof and patio gutters. With more families making the most of outdoor living, with BBQ’s, outdoor kitchens, bars, TV’s and the like there is a lot we would like protected from the weather. Autumn is, therefore, the time to prepare for the Winter months ahead. 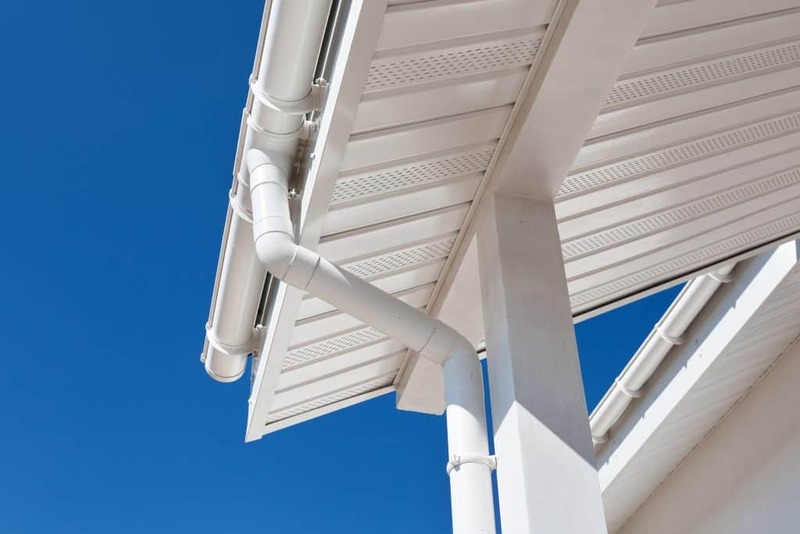 And, this means cleaning your patios and patio gutters as well as the checking the rest of your guttering at home. The gutters on your home and your patio become a collection point for all types of debris. It takes very little to block up a gutter and they can quickly become congested, which can result in overflow spilling into your patio area. While the sun is still out and the days beginning to cool down it’s the perfect time to get a look at your patio gutters and your home. We recommend using a local handyman, or gardener/cleaner to clean your gutters for you. Winter is not too far away and along with it hopefully some much needed rain, but before it arrives and the gutters get wet and muddy now is the time to prepare your patio for Winter and get your gutters cleaned. 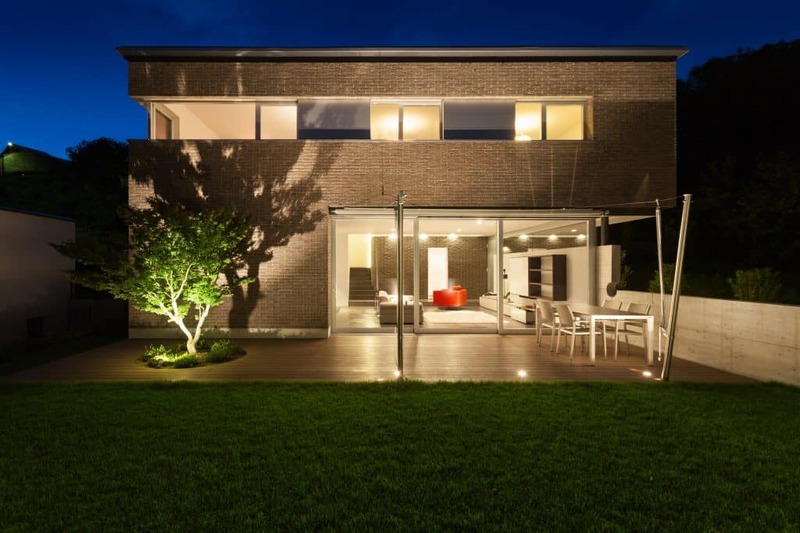 A well-lit patio is an inviting space in any month, but even more so in the Winter months when it is darker. Having a well-lit area with warm lighting effects will encourage you and your family to head outside and enjoy your patio and outdoor area. 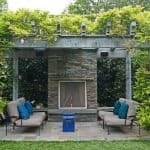 If you have a beautiful garden you could also highlight some of your garden features. For example, highlight established trees or sculptures with uplights or add solar garden lights to darker corners of your backyard. Rope or solar lighting is also an effective way of accentuating paths and garden edges. And you have the added bonus of increasing safety by lighting these areas to prevent tripping or falling in the dark. Fairy lights draped through your trees, or around your patio are another way to increase the visual aspect of your patio and create an atmosphere of warmth. With some preparation, your outdoor area can be a warm and welcoming space even in the depths of Winter. 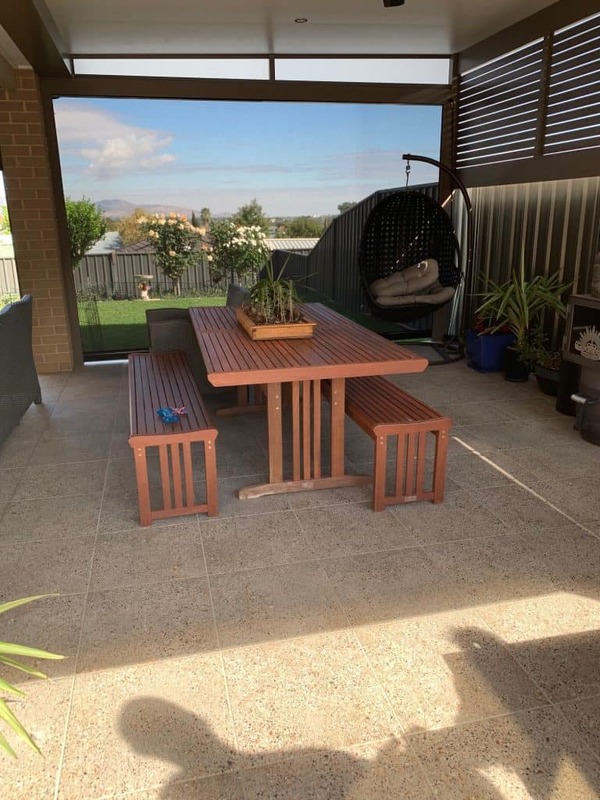 If you want to add a patio to your home this Winter, feel free to contact our Alfresco Specialist, Letitia Awdjew. After going through Step 1, your initial consultation and property visit, the next step is to build an estimate of your financial investment for your new addition to your home. While some people love surprises, unexpected costs are not usually the type of surprises enjoyed. And we don’t want you to have any unpleasant surprises as part of building your alfresco. It means that you have transparency of what your alfresco investment will be. And that means that any costs anticipated to create your dream entertainment space will be made clear to you… before we start building. 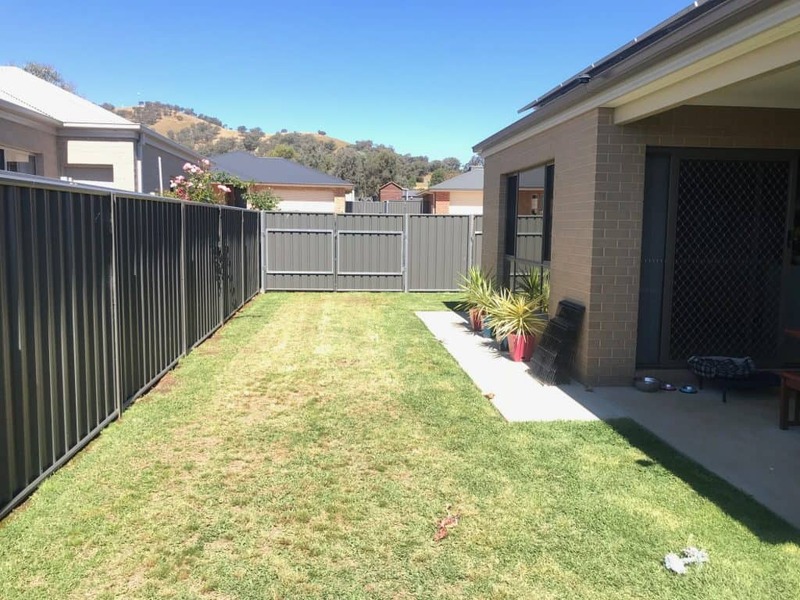 So, you get an estimate of your investment before the design is finalised. and any other elements that are required. That way you have an idea of what lies ahead and can revisit your design elements if necessary. Understanding an estimation of your investment helps us make sure you end up with your alfresco vision within your alfresco budget. If you are looking for a team to help you create your dream alfresco area, contact us. We’re here to help you make your outdoor dining and entertainment dream a reality. 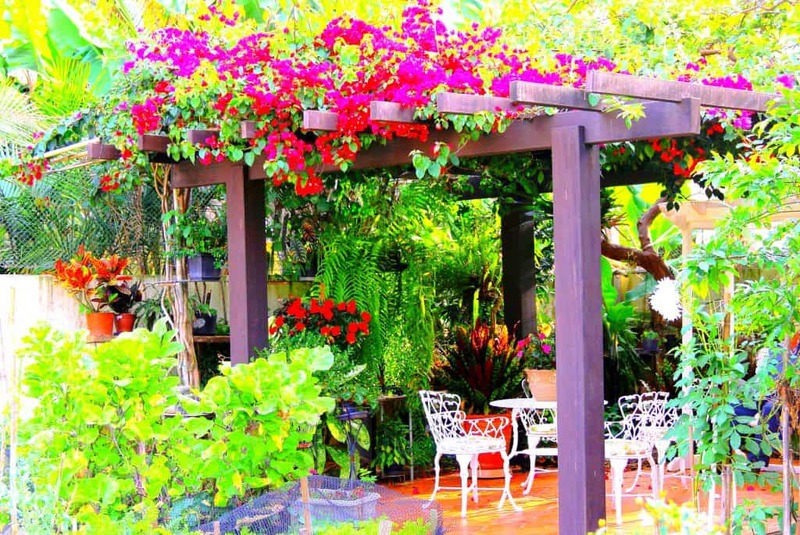 If you are looking to establish a certain kind of character for your garden, consider a pergola with climbing plants. 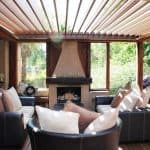 Pergola designs range from basic, with a clean simple finish, to quite elaborate styles to impressive structures with huge chunky beams and a more solid presence. 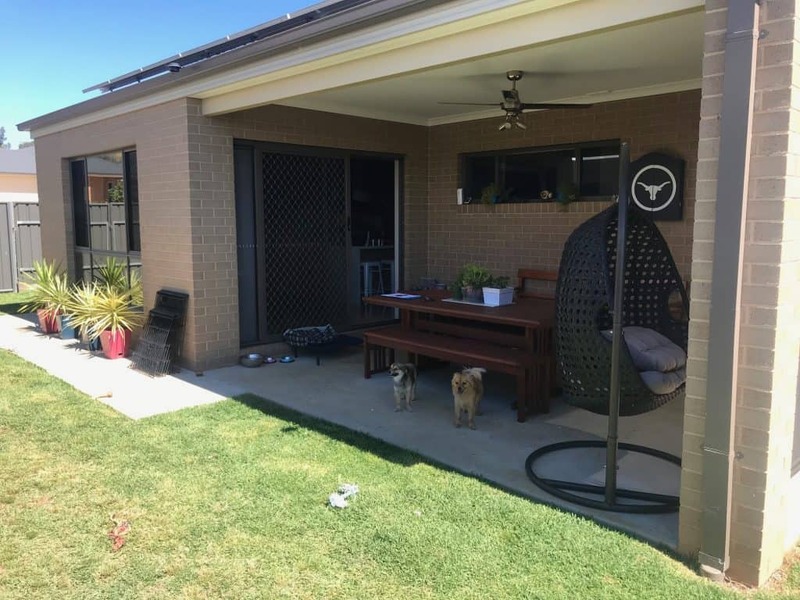 Regardless of your preference for your pergola design, you can also enhance its appeal by simply adding climbing plants to complete the overall character you want to achieve in your garden. 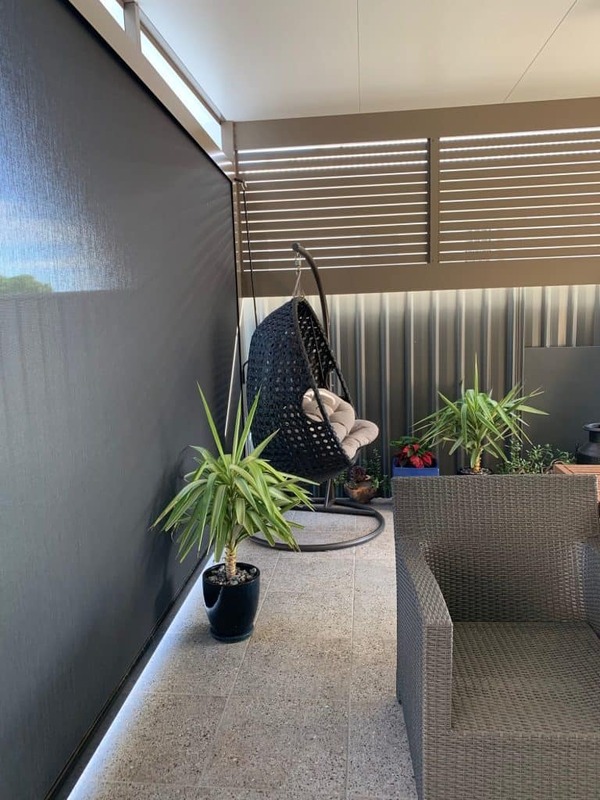 Covering your pergola with climbing plants can create a natural canopy, giving the impression that nature has provided a roof above your head. Imagine enjoying lunch with family and friends – lively conversation and laughter – all sitting beneath the greenery of your beautiful pergola. If you choose a deciduous variety, you can enjoy sunny winter days, relaxing in a comfy outdoor seat in dappled sunlight, enjoying a good book and sipping on a cup of tea (or glass of wine). Most climbing plants produce colourful flowers that, when they bloom, create a spectacular vision of colour. Is there anything lovelier than a pergola covered with beautiful flowers with their intoxicating perfume wafting through a gentle breeze? 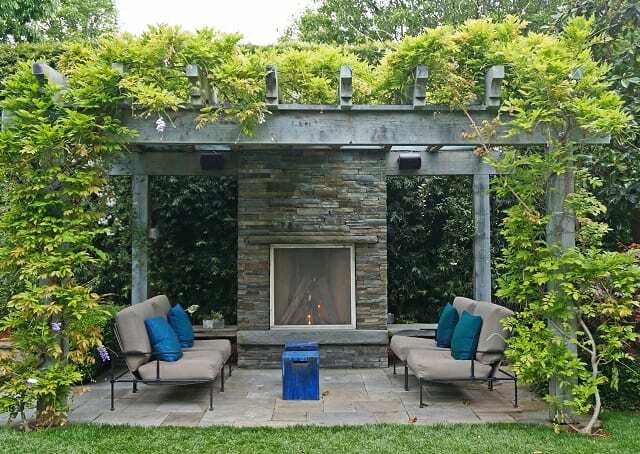 There are so many options available when choosing a climbing plant for your pergola. And that means the character of your garden and pergola design is entirely up to you. We are all familiar with this one, as it is a very popular climbing plant, used on pergolas all the time. Being a deciduous plant, you have the benefit of sunshine in Winter. 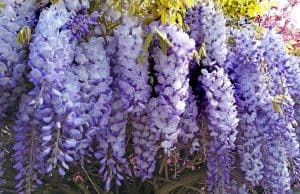 And a spectacular canopy and fragrance when it blooms. 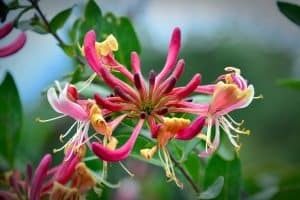 Honeysuckle is beautifully fragrant with more than 18 different species and a range of colours. It is hard to go past as a climbing plant. 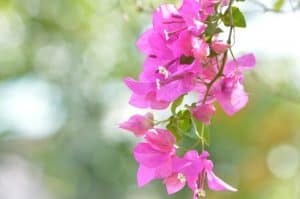 Bougainvillaea is easy to grow and has over 300 varieties. Also with a variety of colours, it is a natural choice for a climbing plant for your pergola. 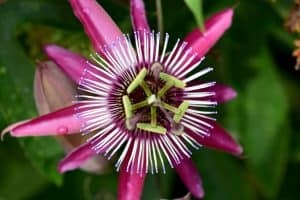 Not only does Passionfruit have beautiful flowers, it also provides you with delicious fruit. 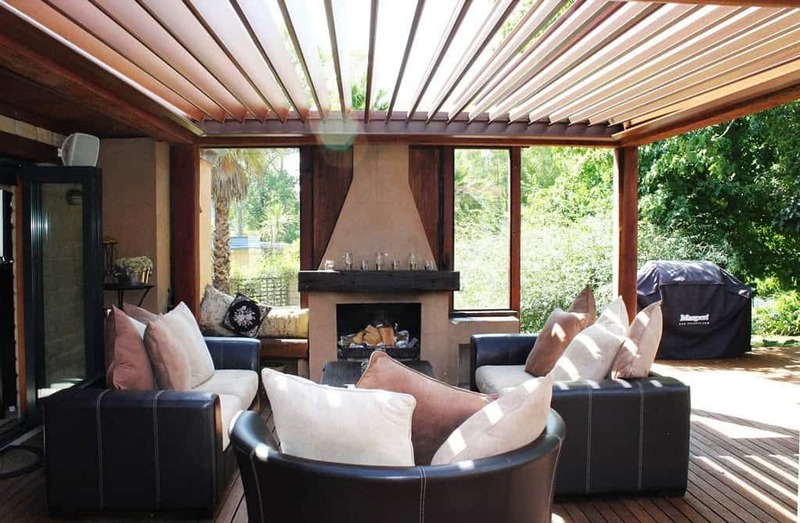 If you need help creating your dream pergola, feel free to contact our Alfresco Specialist, Letitia Awdjew. 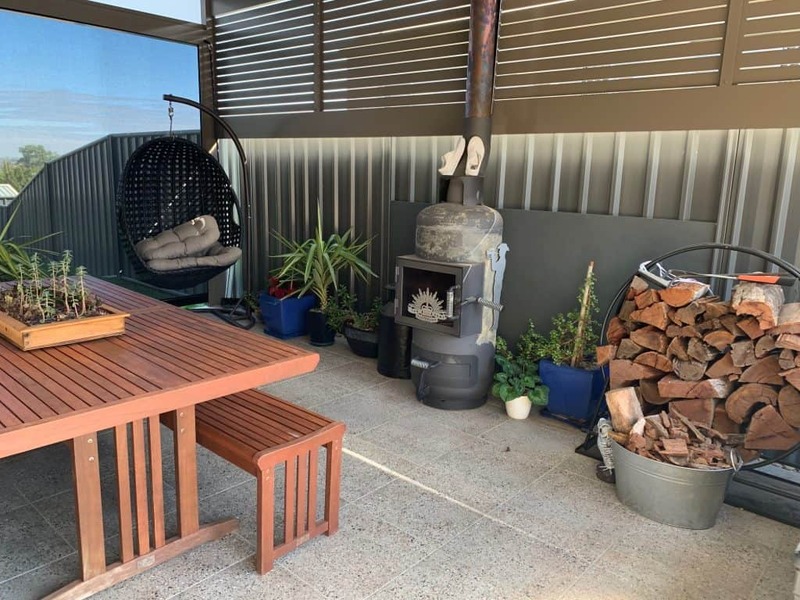 The Ultimate Alfresco Design Inspiration March 2019 is a sneak peek from a photo shoot we recently did with one of our clients. We hope these designs inspire you to create your own outdoor space. 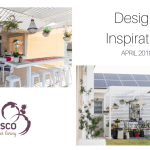 Do you need help designing your alfresco? 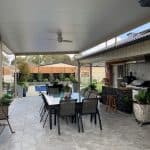 If you live in the Albury Wodonga region and would like to discuss how to design and create a beautiful patio or pergola for your home, contact us today.